First there was rayon, then nylon. They weren’t very lovable, despite the hype promoting their advantages. Thanks to technology not only have they become acceptable, but they laid the groundwork for generations of new synthetics. For some reason, early rayon and nylon tend to be passed over by most vintage fabric collectors. They are not suitable for quilting nor heirloom sewing nor much in demand for street wear. It is probably the theatrical and historical costumers and to some extent doll dressers who most seek these fabrics. Up to 1960 synthetic names were marketed far enough apart to be solidly identifiable and recognizable – the rayons, nylon, orlon, dacron, acrilan and vicara. We knew what to do with them, how to sew with them; what to expect of them. Then beginning in the early 1960s fiber construction took on a whole new meaning and from that point on most of us felt we needed a degree in textiles and Latin to navigate the fabric stores. As the histories of rayon and nylon are interesting, this column talks to their development rather than the fabric. Of all the synthetics rayon is probably the most confusing and misunderstood and received the worst press. To begin with, rayon is not a true synthetic. It is made from cellulose, the solid part of cell walls for plant life. Cellulose for rayon is obtained from wood pulp and cotton linters which are short fibers left on the cotton seed after the long fibers have been removed. There are three processes used in its manufacture to produce viscose, cuprammonium and acetate. Each has its own special properties. Rayon has been around for more than 250 years but not as a fabric. The term rayon has only been with us since 1924. The idea to artificially duplicate the silk worm process was advanced in 1665 by an English scientist. It lay dormant until 1754 when a French scientist reported it was possible to make varnishes into threads which imitated silk. More than 100 years later another Frenchman, Count Chardonnet, produced the first fiber having commercial success as a textile. In 1884 rayonne was born from his nitrocellulose process. Right on its heels the cuprammonium process was developed, a third in 1982 by two Englishmen called viscose, followed by acetate. The Chardonnet process is no longer in production. Rayonne was more widely known as artificial silk. The name was outlawed in 1924 and the name rayon was given to the fabric. Manufactured in this country in 1911, artificial silk got a cold reception from the public. It was not good looking nor good wearing and as late as 1920, wound up on bargain counters. Eventually, rayon started to catch on. In 1930 Sears offered yard goods in rayon and cotton flat crepe, rayon and cotton brocaded flat crepe, rayon and cotton alpaca and an assortment of washable all-rayon flat crepes. In 1933 Sears offered rayon taffeta guaranteed not to crack, rayon twill satin, textured rayon crepes and rayon seersucker, all sunfast. By 1939, Montgomery Wards was offering Petalspun, an all-spun washable rayon; Petalqeen, all rayon flat crepe prints with only 1% shrinkage; and Spunblend, a spun rayon and cotton blend. All rayons were advertised as being brilliant new patterns. However, even as late as the 1950s rayon or rayon blends in yard goods and ready to wear were still suspect. Anyone who is familiar with butcher linen knows the horrors of this fabric stretching lengthwise while shrinking crossgrain, of bemburg-type sheers stretching unevenly causing hemline havoc and in general, the rotting of fibers around armholes and seam puckering and splitting. VISCOSE cellulose is treated with caustic soda and carbon bisulphide, converting it into a gold liquid about the color and consistency of honey, called viscose. Viscose is forced through fine holes in end of a nozzle, called a spinnerette, directly into a chemical bath where it hardens into fine strands. When washed and bleached these strands become rayon yarn. Viscose was first introduced commercially in this country in 1911 and by 1950 accounted for 66% of US rayon production. ACETATE cellulose is combined with acetic acid [refined vinegar] making a substance called cellulose acetate. This is dissolved in acetone, then forced through the holes in a spinnerette directly into a tube. In the tube, warm air evaporates the acetone and the cellulose acetate emerges as dry filaments. Acetate was first introduced in this country on a commercial basis in 1919 and by 1950 accounted for 32% of rayon production. CUPRAMMONIUM purified cotton linters or wood pulp are treated chemically with copper ammonia which dissolves cellulose. The liquid thus obtained is pumped through the holes in a spinnerette into a solution which coagulates it into filaments. Cuprammonium was first produced commercially in this country in 1927. FILAMENT RAYON rayon yarn, regardless of process, is produced in the form of a continuous thread and is known as filament rayon. 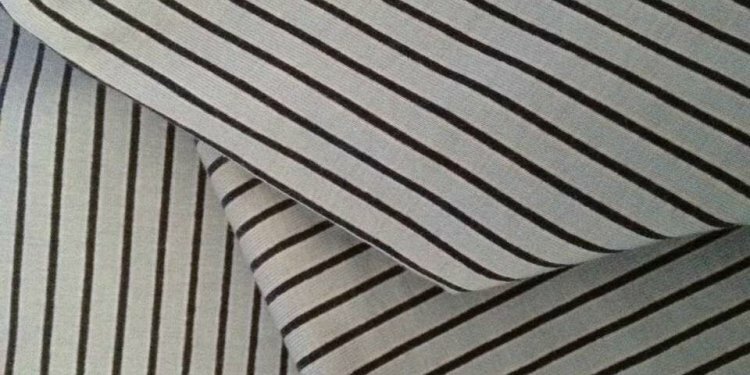 SPUN RAYON rayon can be made or cut in short lengths and are called rayon staples. They are twisted together [spun] into yarn and known as spun rayon fabrics. By 1950, 104 fabrics were available as rayon blends. That interest in vintage rayon flourishes is evidenced by collectors of vintage Hawaiian aloha shirts. Many are made of rayon and a book is being written on the history of this subject. It was a fiber no one was looking for back in 1927 when DuPont scientists were deep into research on learning basic scientific facts that would benefit all humanity. One of those facts concerned understanding how and why small molecules that make up all matter sometimes unite to form giant molecules found in silk, cotton, rubber and other materials. This giant molecule is called a polymer, which means many parts. During the next two years of research, the scientific team learned that small molecules unite to form chainlike molecules of great length similar to paper clips. They are called linear superpolymers. One of the chemists working with a batch of molten material belonging to the superpolymers noticed he could draw it out into a long fiber like taffy candy. When cooled he found it could be pulled out to three or four times of its original length. Such a thing had never been seen before in this type of compound. It was not a strong fiber nor elastic and didn’t look as though it would be good for anything. But the team persisted and succeeded in creating a type of polymer called a polyamide. and squirted it from a hypodermic needle. Thus was produced the first fiber now known as nylon. So promising was this fiber, dubbed polymer 66, that it took 10 years to perfect it and have it reach the public. It was estimated that the first pound of nylon produced cost $27 million.